A federal judge in Los Angeles on Monday rejected a bid by the U.S. Department of Justice to revise a 1997 court order governing the length of time the government can detain immigrant children. In her seven-page ruling, U.S. District Judge Dolly M. Gee called the Justice Department’s interpretation of the Flores agreement “tortured” and labeled it a “cynical attempt … to shift responsibility to the judiciary for over 20 years of congressional inaction and ill-considered executive action that have led to the current stalemate” over detention of immigrant families. 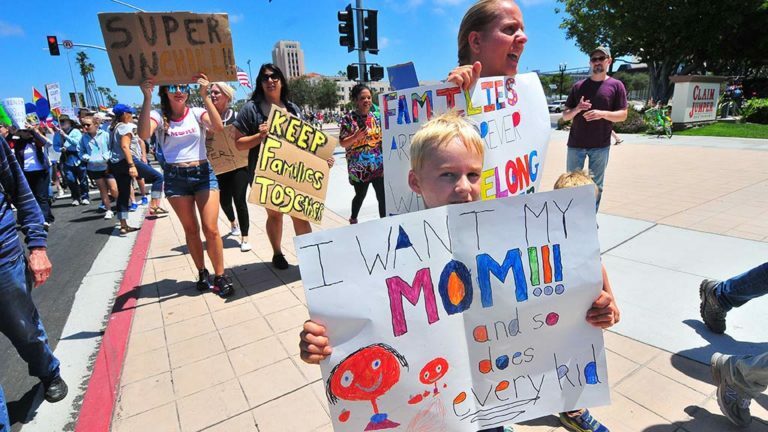 The Justice Department filed papers in late June seeking to revise the so-called Flores settlement, which bans the detention of children for more than 20 days and prohibits children from being held in daycare facilities not licensed by the state. The request came one day after President Donald Trump signed an executive order to halt the separation of children from undocumented immigrant adults under his “zero tolerance” policy cracking down on illegal border crossings. The government argued that handling the cases of illegal immigrants usually take far more than 20 days to litigate, so it sought permission to allow kids to be held with their detained parents while the legal process was carried out. “Any number of other factors could have caused the increase in illegal border crossings, including civil strife, economic degradation and fear of death in the migrants’ home countries,” Gee wrote in her ruling. Concluding her ruling, Gee noted that the Flores settlement was reached more than two decades ago. “The court did not force the parties into the agreement nor did it draft the contractual language,” Gee wrote. “Its role is merely to interpret and enforce the clear and unambiguous language to which the parties agreed, applying well-established principles of law. Regardles, what is certain is that the children who are the beneficiaries of the Flores agreement’s protections and who are now in (government) custody are blameless.